60. For transmitting two speeds by means of belts. 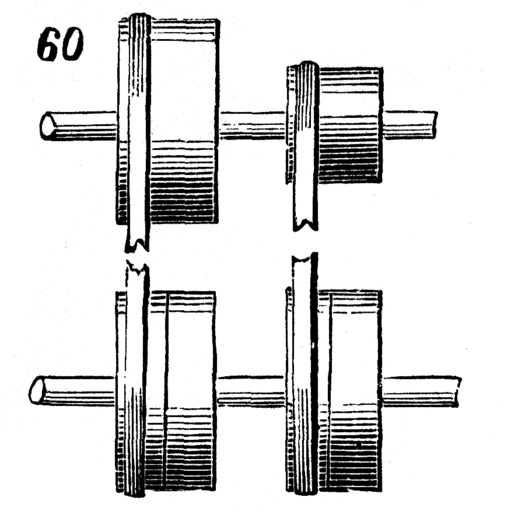 There are four pulleys on the lower shaft, the two outer ones being loose and the two inner ones fast. The band to the left is shown on its loose pulley, the one to the right on its fast one; a slow motion is consequently transmitted to lower shaft. When band to the right is moved on to its loose pulley, and left-hand one on to its fast pulley, a quicker motion is transmitted.